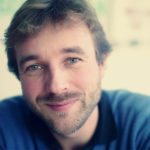 Hans de Zwart is the Executive Director of the Dutch digital civil rights organisation Bits of Freedom, fighting for freedom of communication and privacy on the internet. In the past he was Shell's Senior Innovation Adviser for Global HR and Learning Technologies, before that a Moodle consultant for Stoas Learning and he started his career as a Physical Education teacher at a high school in Amsterdam. He operates on the intersection between technology (which he prefers to be "open") and society, often viewing issues through a civil rights lens. He knows that technology is always political and believes in the power of design. You can always come and talk to him about: the most recent book you have read, juggling, philosophy, free software, dominoes, or The Big Lebowski. He reads in public and tweets occasionally.